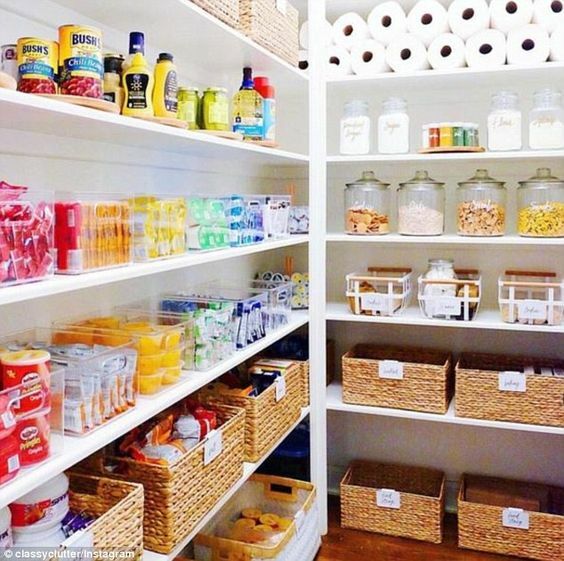 30 Amazingly Organised PantriesMake yourself comfortable, ladies, and get ready for real pantry goals! 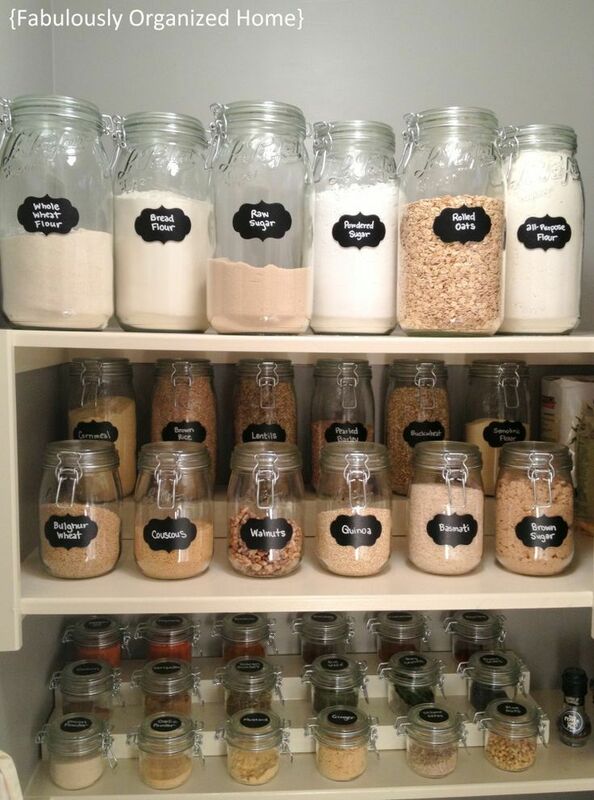 Hey mums, how do your pantries look? Mine is perfect…ly messy. LOL! 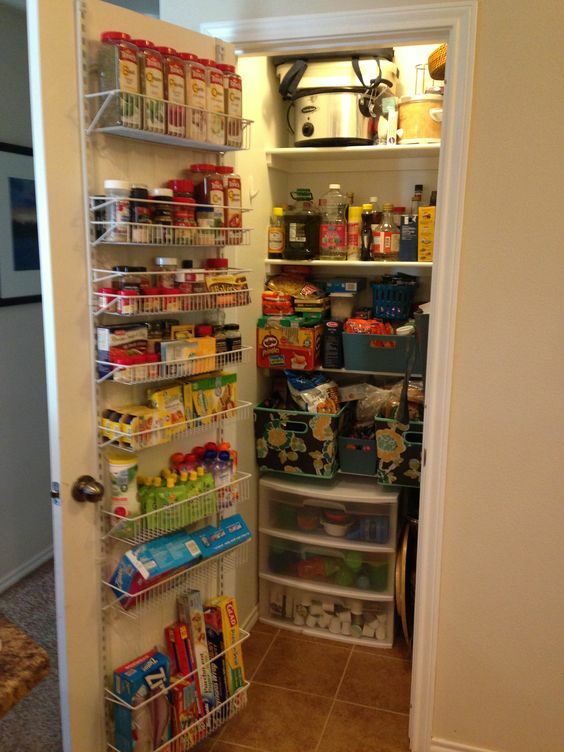 Actually, my pantry looks okay most days, but there are days when it looks as if a storm passed through it. I wish I was kidding but I’m not! 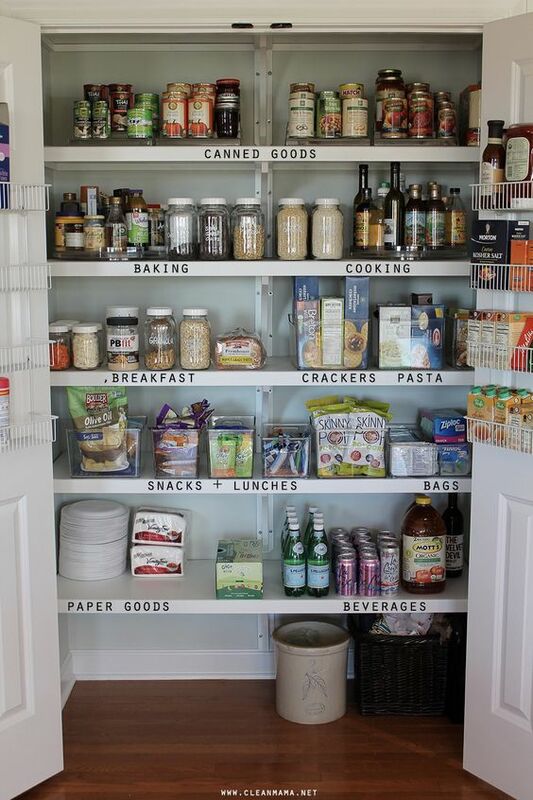 But I found some amazing organised pantries from my best friend Pinterest, and now I want to give my own pantry a makeover. I’m sure you’ll find inspirations from them, too! 1. 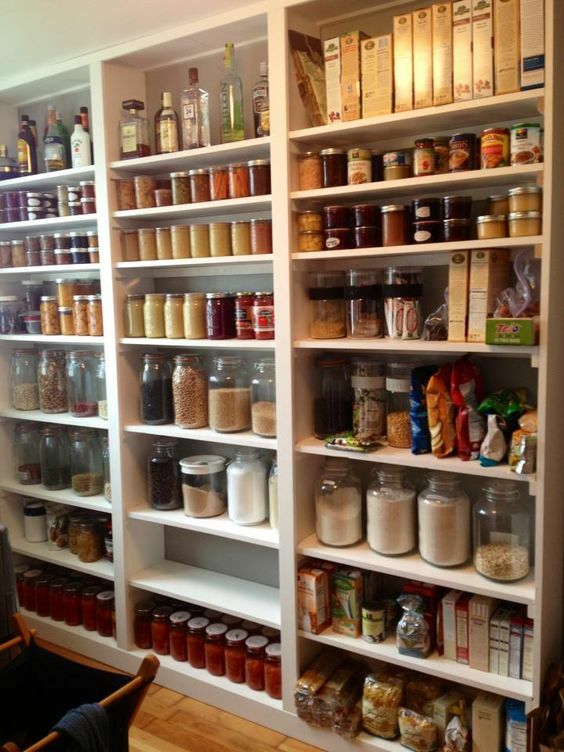 A fully mason-jarred pantry not only looks pretty but also is economical. 2. 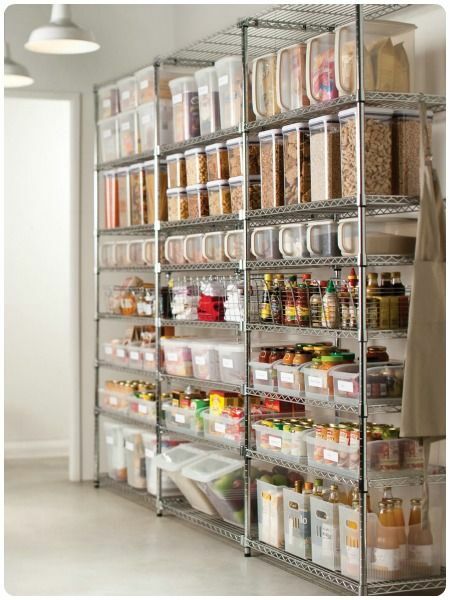 Organise your goods in a combination of jars and clear basket containers. 3. 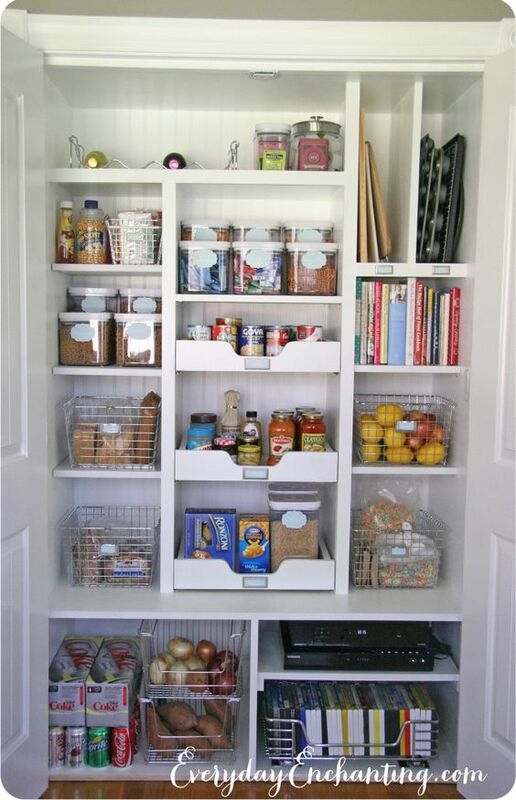 Invest in clear containers and wire baskets to make your pantry organised and oh so lovely. 4. 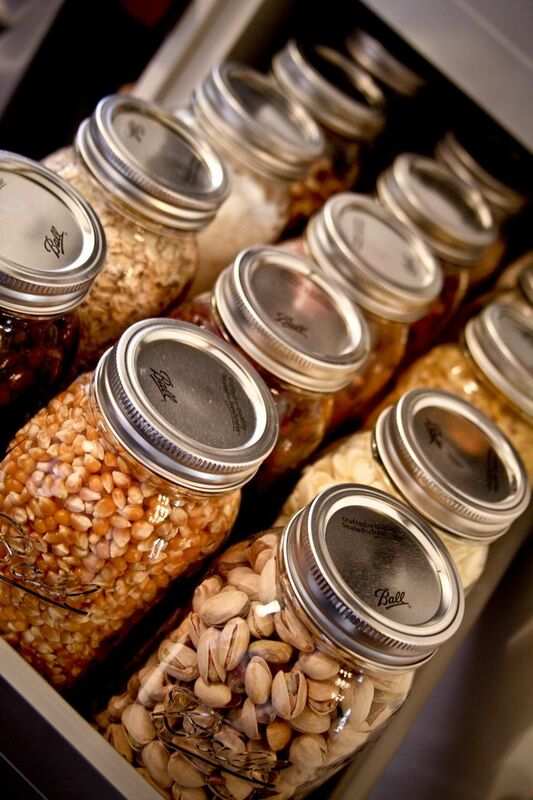 You don’t have to buy fancy jars. Even the simplest of mason jars do the job really well. 5. 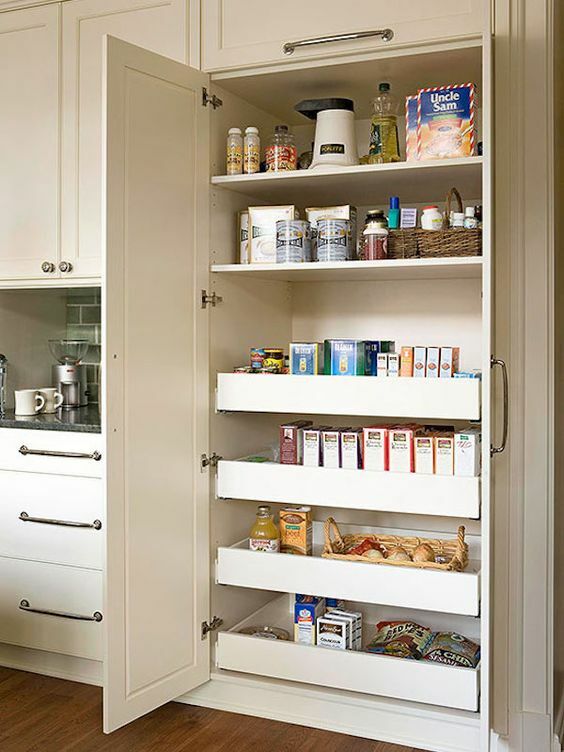 Adopt a minimalist look by using white and neutrals as your pantry’s colour scheme. 6. Or add a splash of colour by painting the walls with a bold shade such as this gorgeous teal. 7. 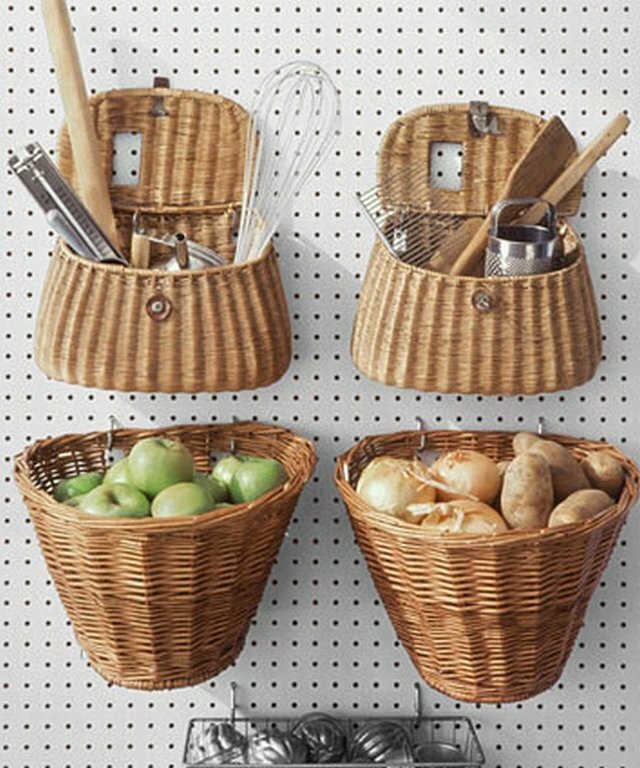 Woven baskets not only are a fantastic way to organise the kitchen but also add a charming, rustic feel. 8. 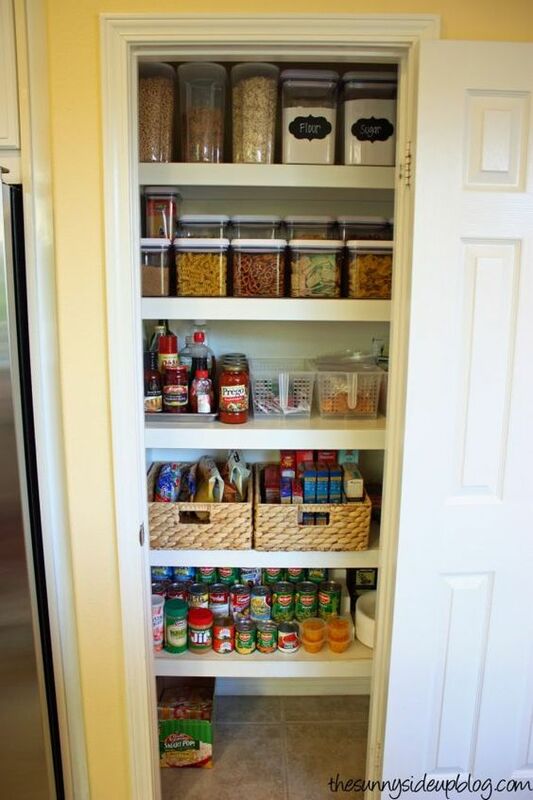 Keep everything neat and tidy by arranging the elements in layers. 9. 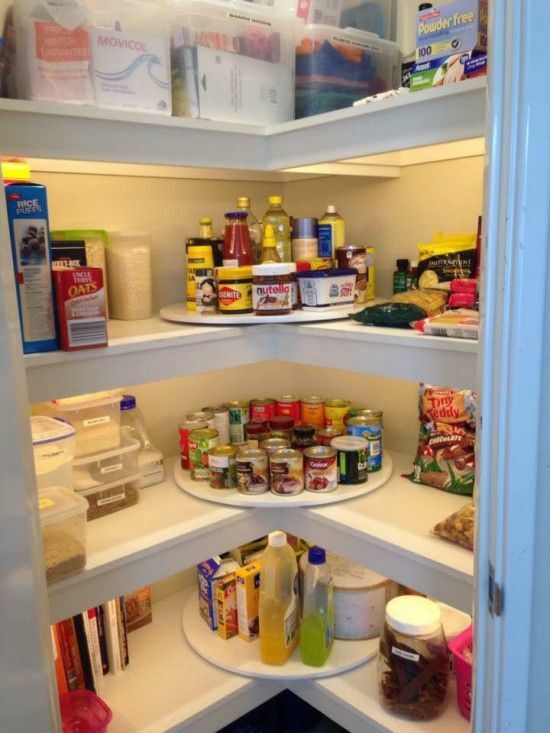 Shelving not working for you? 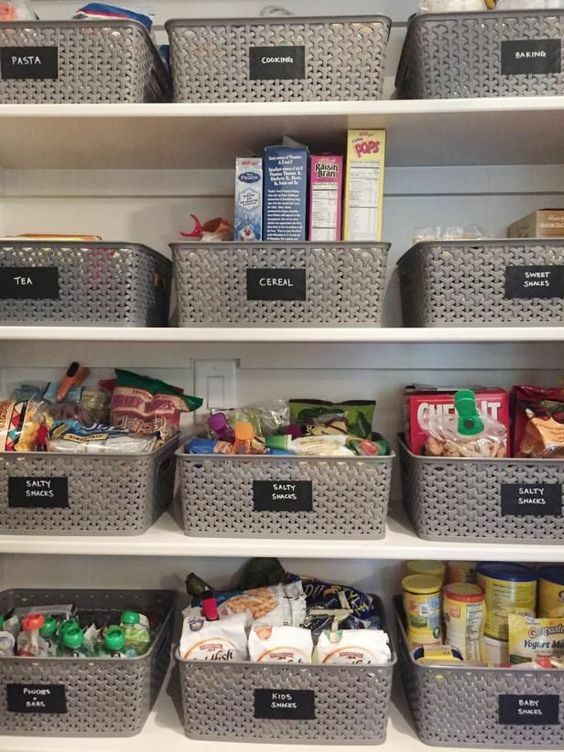 Ditch the shelves and install drawers instead! 10. Small space? No problem! 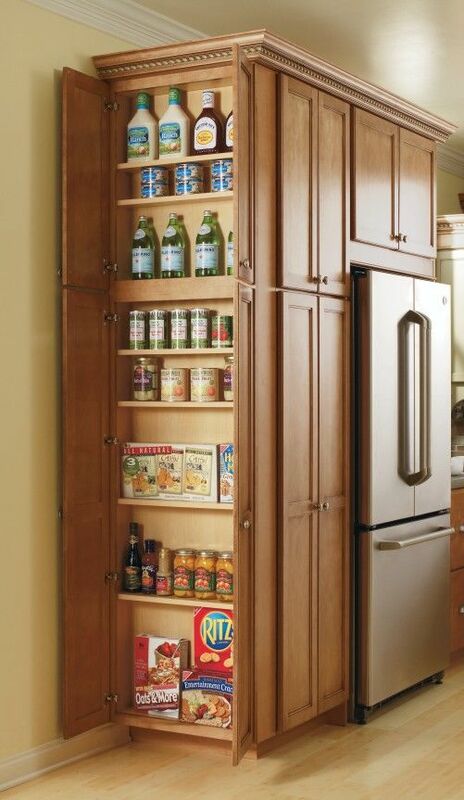 There are several storage solutions that you can use. 11. 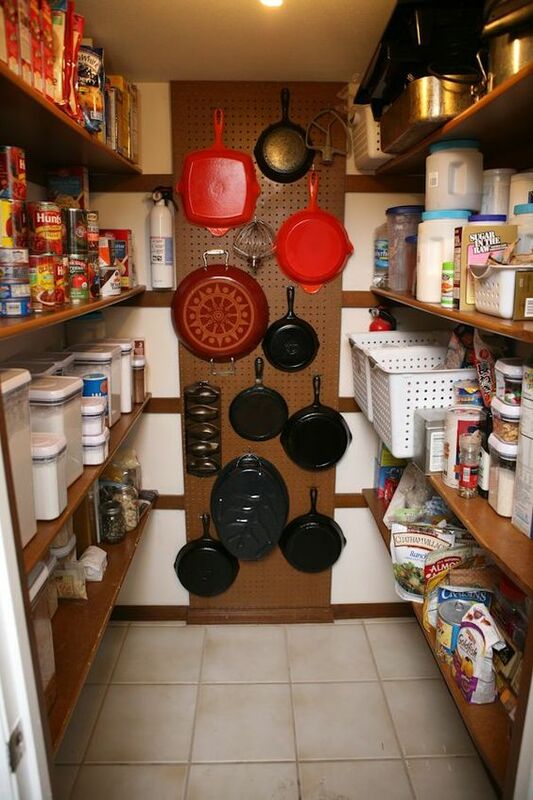 Save space by using a peg board! 12. 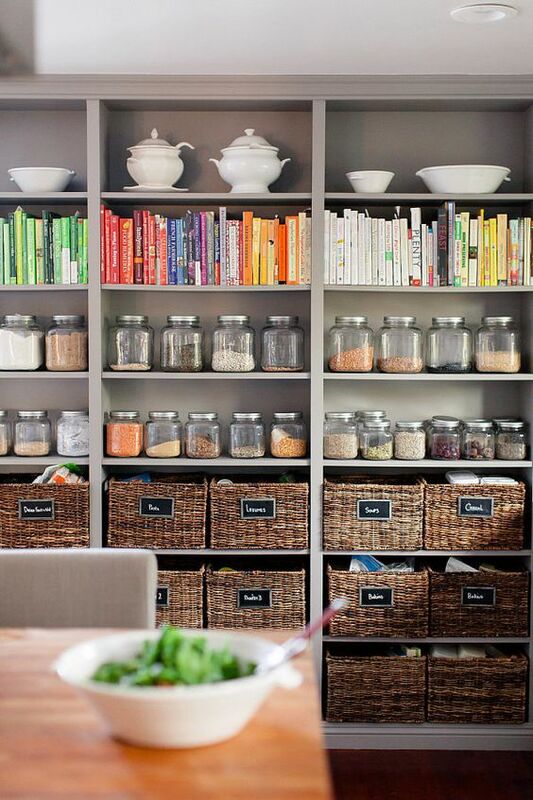 There is just something so gorgeous about well-organised shelves, don’t you agree? 13. 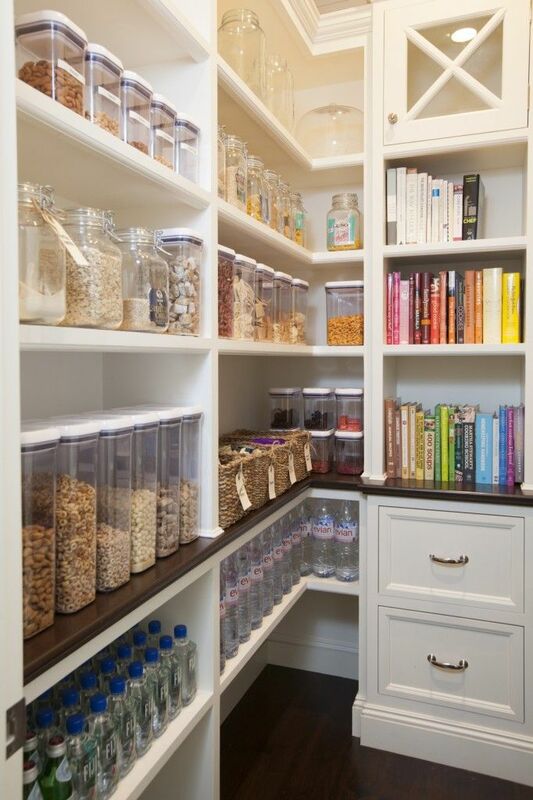 Use the right measurements when customising shelves to maximise space. 14. 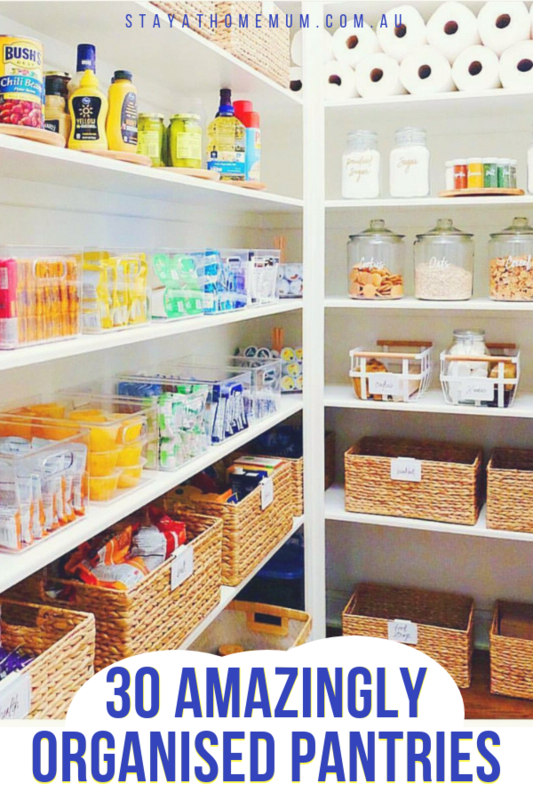 Wicker baskets + acrylic organisers + candy jars = perfection. 15. 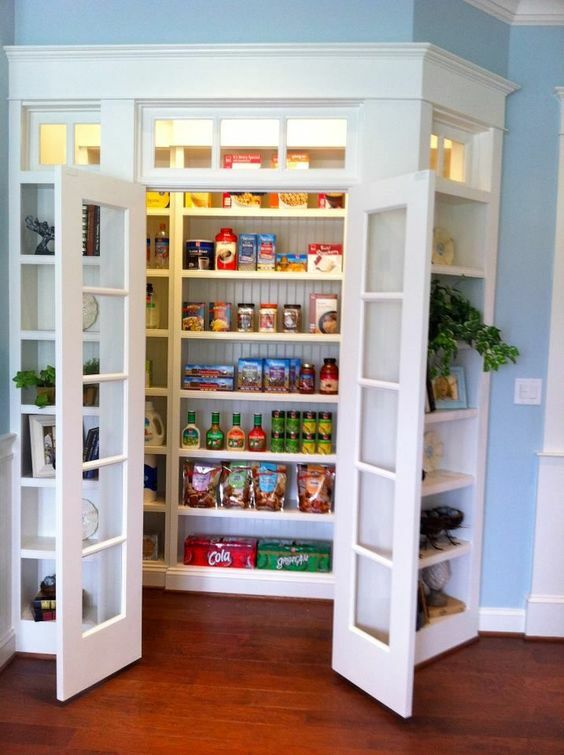 Utilise an unused corner of your home and turn it into a charming pantry! 16. 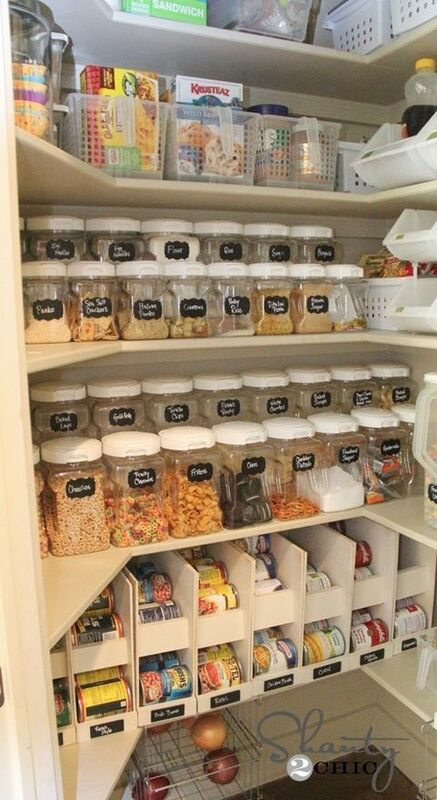 If you think you’ve run out of space, think again. Hint: look around you! 18. 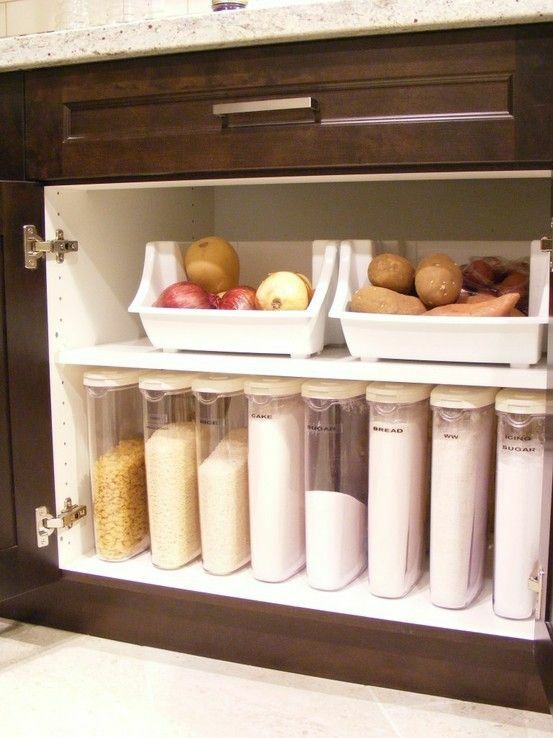 You don’t need to go too far for clever storage solutions. 19. 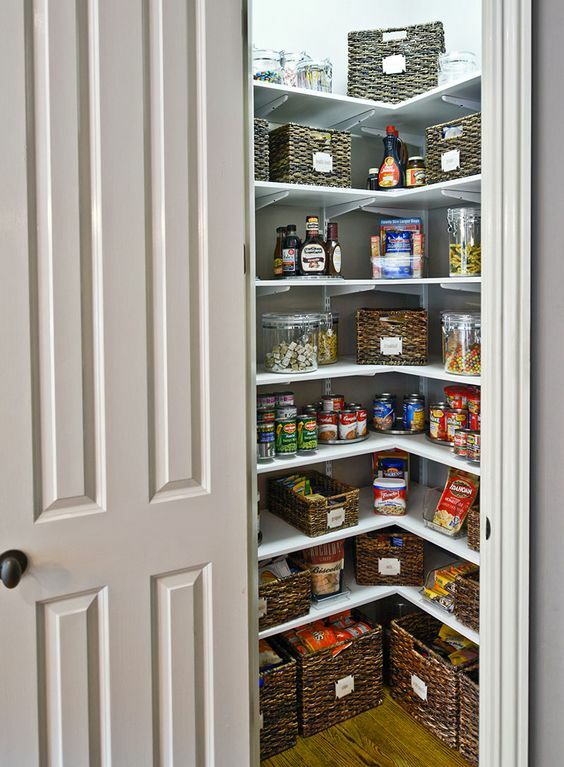 DIY spice racks are not only easy to do but also easy on the eyes. 20. Give our pots, pans, and kitchen tools a home of their own. 21. Turn the space underneath your stairs into something pretty and useful. 22. 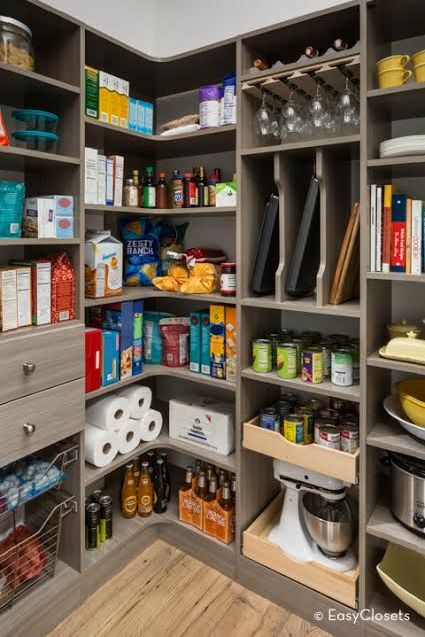 Achieve #pantrygoals using even the tiniest of spaces. 23. 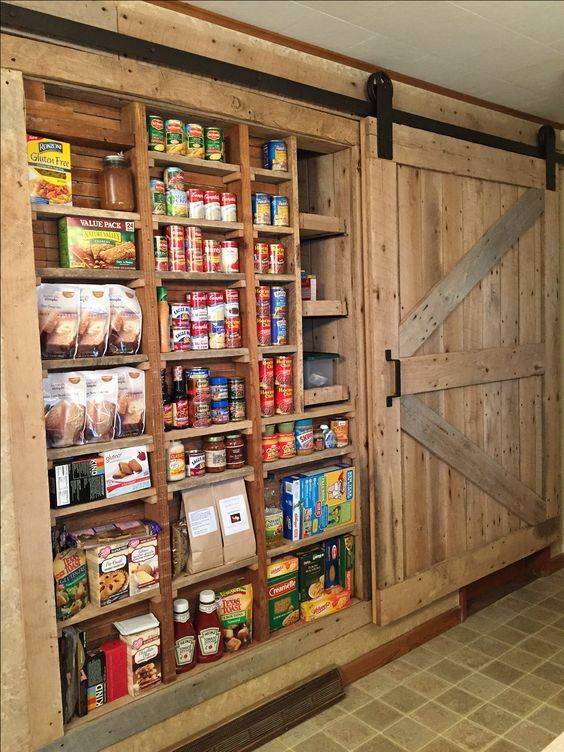 Check out this barn house-inspired beauty! 24. 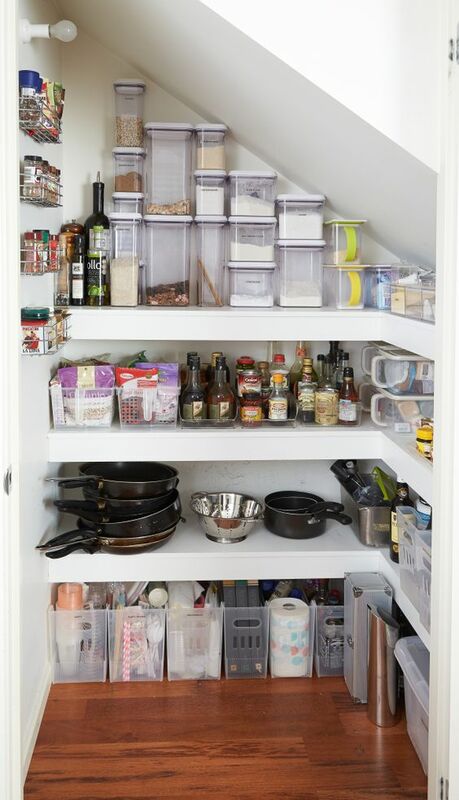 For easy access, use adjustable shelves and (pretty) sliding drawers. 25. Don’t forget to use the space that is the backside of your doors. 26. 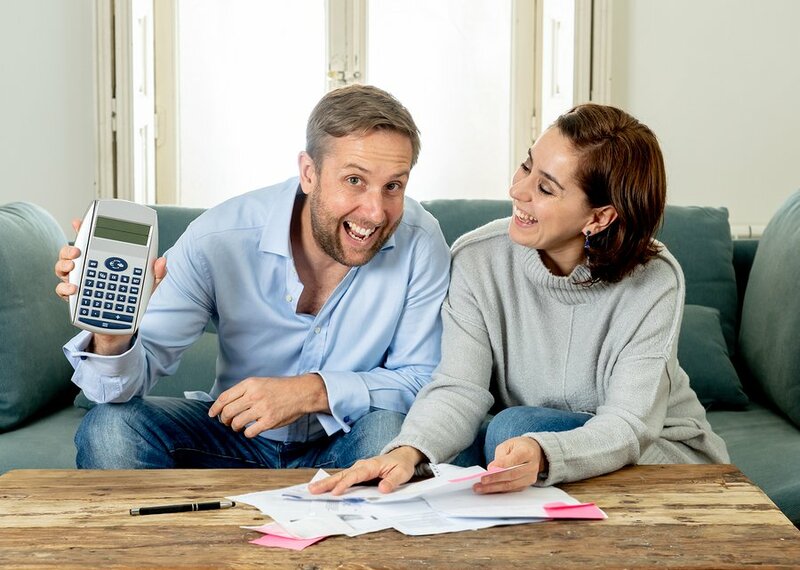 Use a simple system that suits your family’s lifestyle the best. 27. 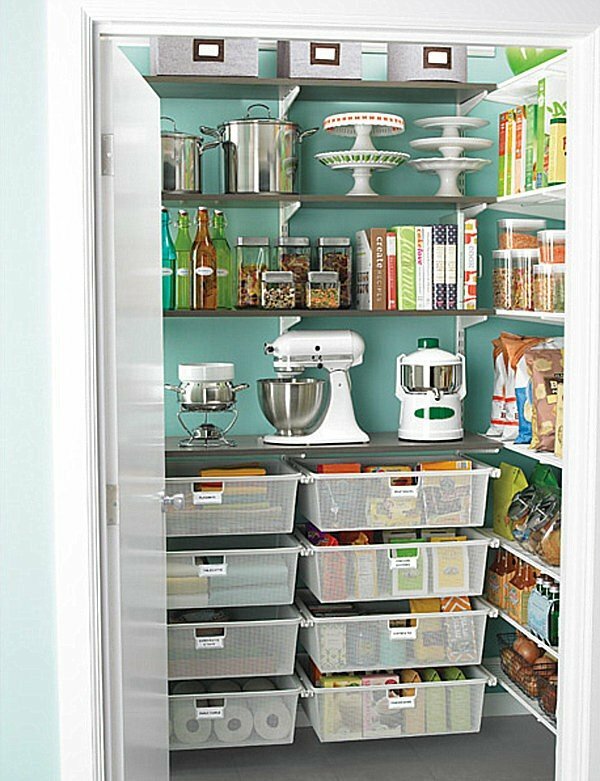 Sliding drawers not only keep your space neat but also make every nook and cranny easy to reach! 28. 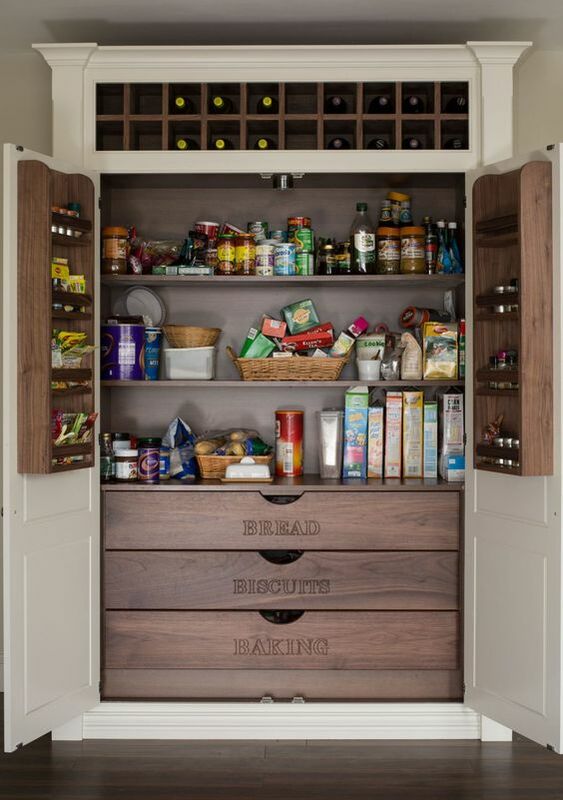 Rustic style, door storage, and is that wine storage? Count me in. 29. 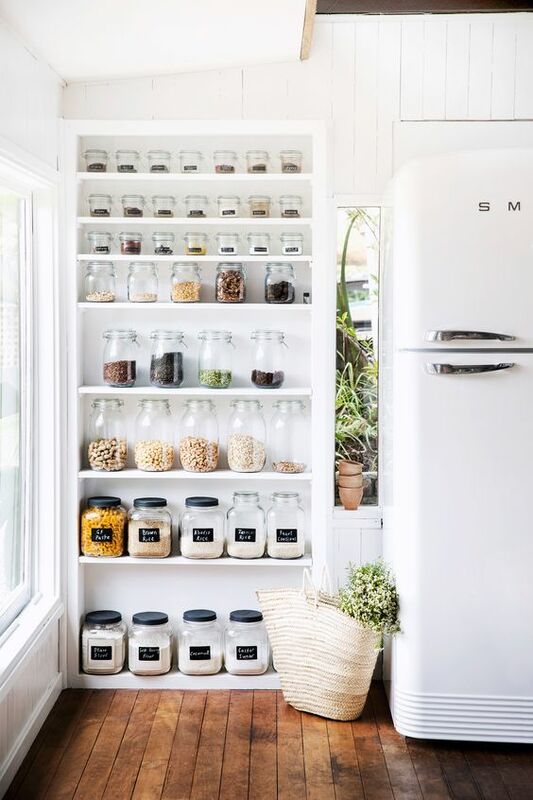 How’s this for a brilliant idea: Lazy Susans to store and display everything! 30. 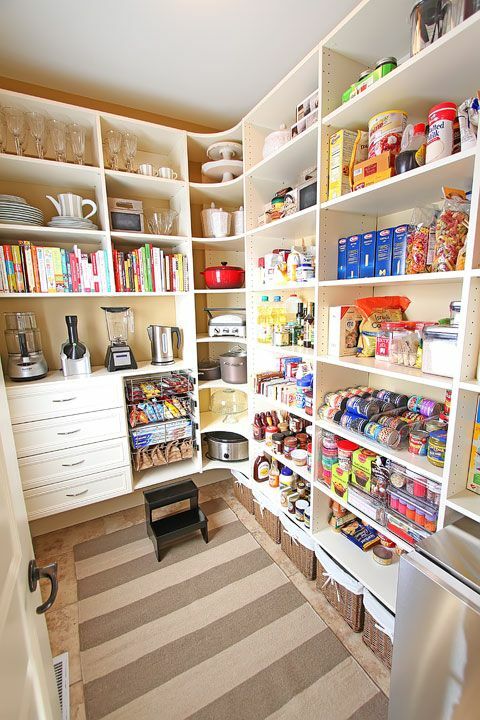 A place for everything and everything in its own place.